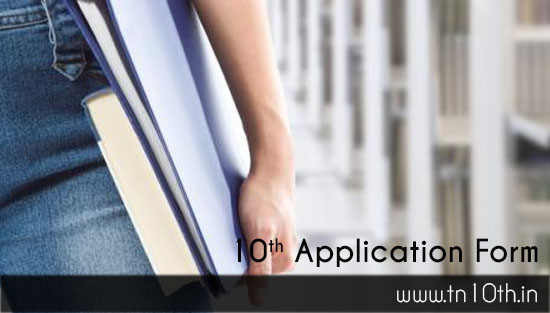 Tamilnadu SSLC Revaluation 2019: Most of the 10th class students are searching internet to know how to apply for SSLC revaluation / retotalling / Xerox or Scan copy of answer script for March exam 2019. You must be having doubts on the evaluation of your answer paper, If you had performed well in the 10th public examination in March and April 2019. It is time to very it by applying it for revaluation. However, there are certain procedures to apply for revaluation which we will discuss below. All the students are eligible to apply for revaluation, however you must apply for retotalling or scan copy first and verify before applying for revaluation. All the 10th standard students who are interested to apply for retotalling and answer sheet scan copy, can apply through your schools. If you are a private candidate, you must approach the examination centre where you had attended your public exams and apply for SSLC retotalling / scan copy or revaluation. You can be allowed to apply for revaluation, only if you had applied and received scan copy of that subject before. So it is better to take time and decide that whether you want to get retotal of your marks or scan copy of your answer paper. While applying for the retotal or scan copy, you will be asked to pay application fee for each subject. You can pay the application fee in cash. The application fee may vary based on the subjects. So, it is expected that all the students must be aware of the revaluation application fee for each subject and pay. Make sure you provide valid details at that time of applying for revaluation / retotal / Xerox copy. At the end of application form submission, you will be given acknowledgment document / letter. There you can find the acknowledgment number which you should note down carefully and keep it safely. Once the Tamil Nadu Directorate of Government Examination (TNDGE) uploaded the retotal marks and scan copy of your answer script, you can download it by providing acknowledgement number and date of birth. The date on which you can download your Xerox scan copy and retotal marks online will be announced by the Examination Board (TNDGE). When The Xerox Copy of The10th Standard Answer Script can be Downloaded ?